Hi-foam action cleans and brightens upholstery without harming delicate fabrics. Hi-foam action cleans and brightens upholstery without harming delicate fabrics. 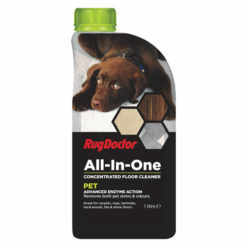 For use with Rug Doctor Pro Hand Tool attachment. – keeps furniture looking like new for longer and leaves a fresh, clean scent. Advanced detergents neutralise water-based deposits and emulsifies oils for superior stain removal. 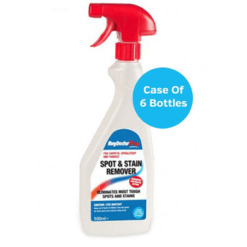 Now with SpotBlok® stain repellent to protect your upholstery against stains and spills long after it has been cleaned. Pro Upholstery Cleaner is tough enough for stubborn dirt, yet gentle enough to use on velvet. 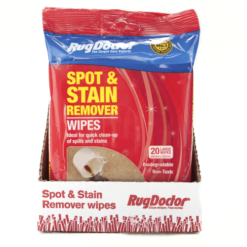 It helps to prevent re-soiling by drying completely with no residue, unlike other chemicals that leave behind an oily build-up. 1. Remove any solids from the affected area. 2. Apply small amount on an inconspicuous area. Blot with white, absorbent cloth after one minute and check for colour transfer. User assumes all risks. 3. 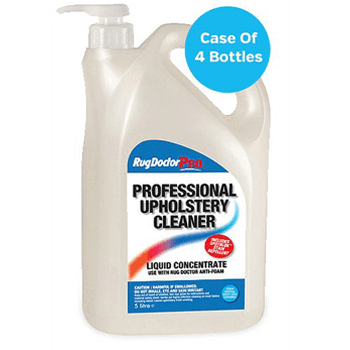 Mix 1 part Rug Doctor Pro Upholstery Cleaner with 8 parts warm water and fill the machine solution tank (blue base tank) wiping away excess spills with a damp cloth. 4. 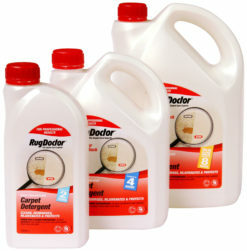 Add 50ml of Rug Doctor Pro Anti-Foam to the top white recovery tank to prevent build up of suds during cleaning process. 5. 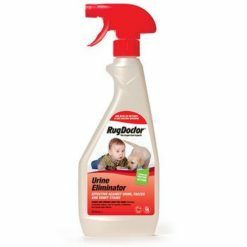 If upholstery has previously been cleaned with a shampooer or spray foam, spray the Rug Doctor Pro Anti Foam directly into the hand tool before the cleaning process begins. 6. Begin cleaning by following the instructions for upholstery cleaning. WARNING: DO NOT use on Haitian Cotton. NB: Always test a hidden area for colour-fastness using a white absorbent cloth. Refer to the machine operating instructions which are clearly marked. DO NOT over-wet. No more than two passes with the Rug Doctor Pro machine between drying. Good ventilation to the area will further improve drying time. CAUTION: Harmful if swallowed. Do not inhale. Eye and Skin irritant. 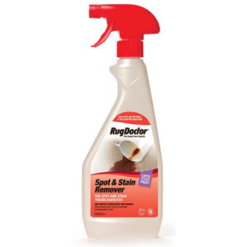 Use Rug Doctor Pro Spot & Stain Remover on carpet or upholstery to remove stains from food, beverage and grease spills.